Can you tell me why florist roses have absolutely no fragrance? Why is it that roses can be hybridized to have longer stems and longer vase life, but in the process, the fragrance is not there? Thank you. Fragrant Roses – only if we could have everything perfect. Rose growers are always trying for more, taking the strongest feature A (Long Stems) of one and mixing it with the strongest feature B (Shelf Life) of another hoping to get both perfect A & B in the offspring. Now that we have both A & B can we add C (Fragrance)? They are trying. As you pointed out the store bought roses have long stems and good shelf life and are poor with regards to fragrance. In time I am sure we will get a fragrant store bought rose. When a rose grower mixes A & B they will get maybe 1000 seedlings, every one different. Of these they may keep 2. 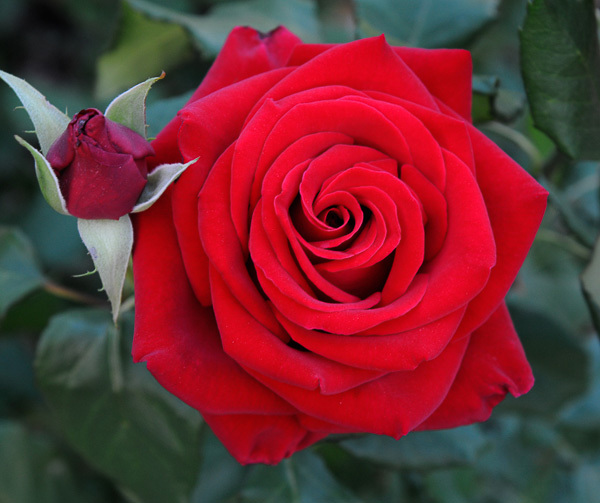 So as you can imagine it is a long and arduous process, not knowing when the perfect rose will appear. Fragrance come from the purple gene, so it is VERY hard to develop a fragrant white rose. But John Paul II is white and fragrant. Note from Webmaster: I included a photo of Veteran’s Honor at the top of this post. You can easily grow it in your garden. It lasts a long time in a vase. You can cut long stems if you like, but I choose not to. It has a lovely, light, raspberry fragrance. 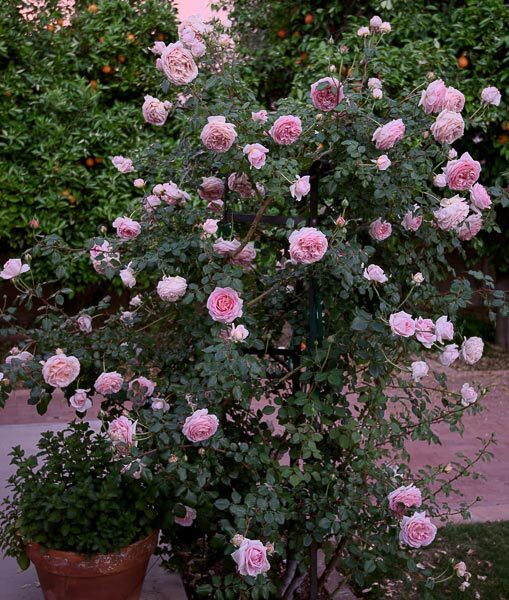 Below is a great English Rose, Abraham Darby. The bush is glorious in your garden and has a wonderful citrus fragrance, though it doesn’t last a long time in a vase. Mine is wrapped around a cast iron rose tower. Put a pot of mint beside it and sit there to read the morning paper!